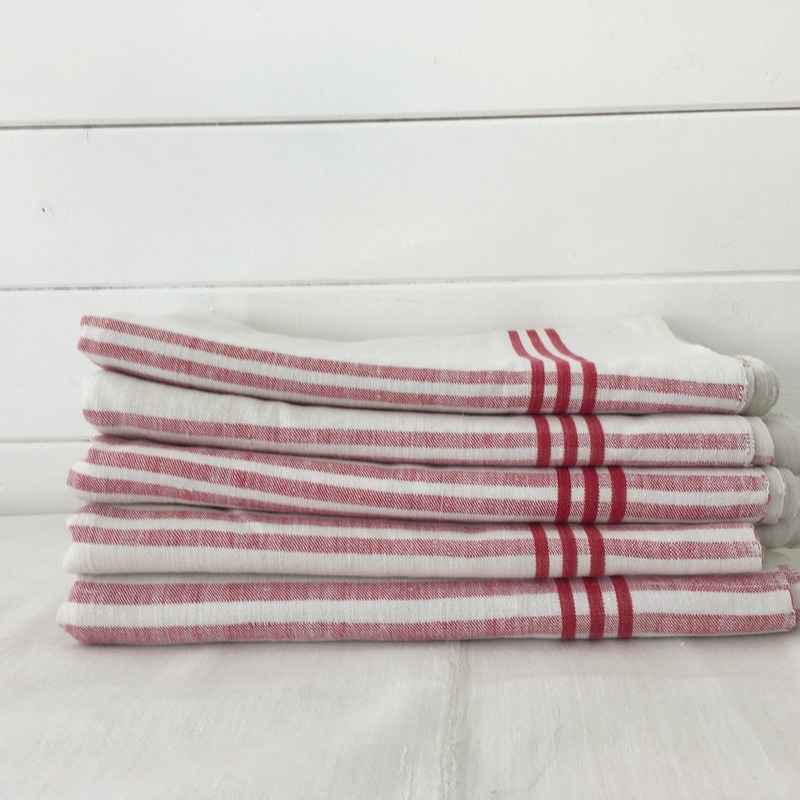 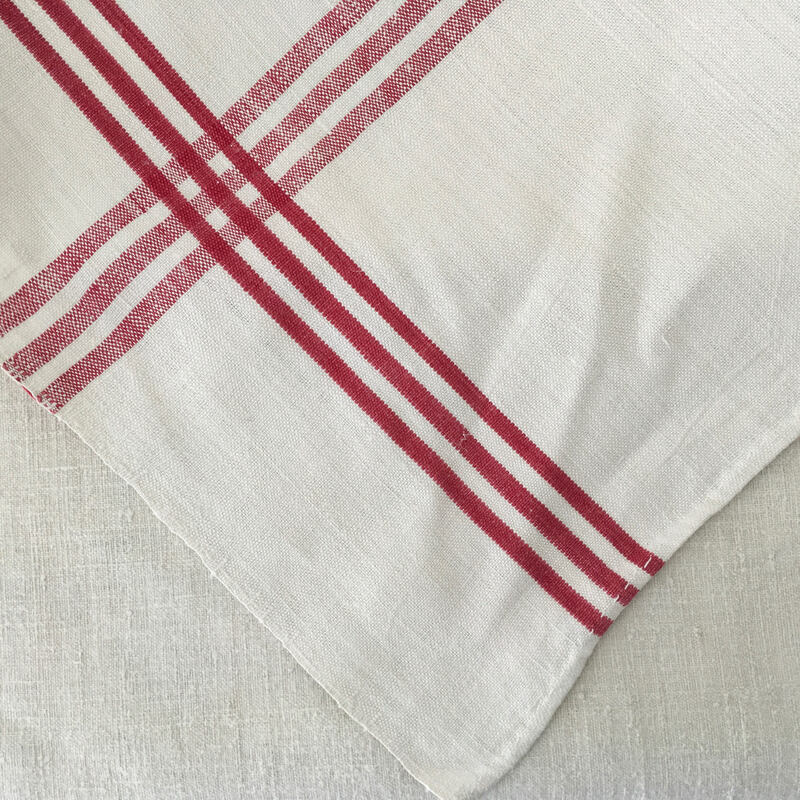 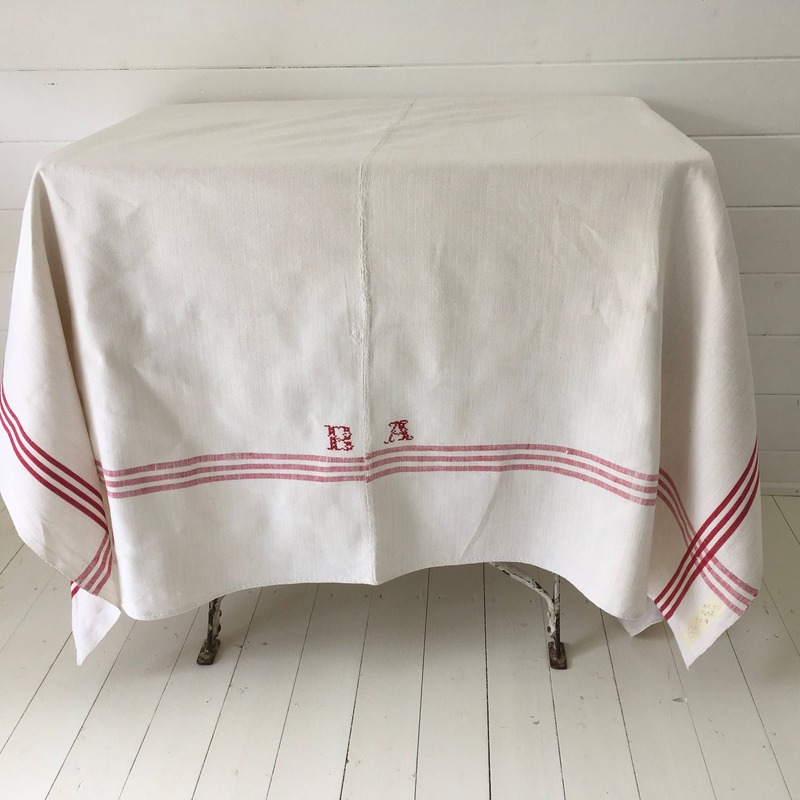 This table linen has a 3 red stripe border. 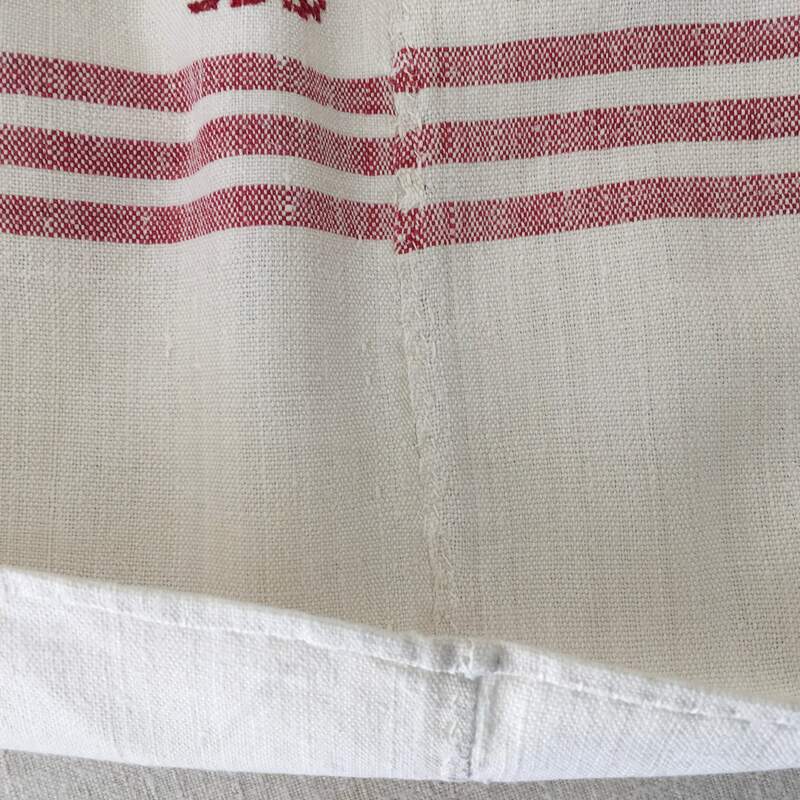 The red is a light cherry red. 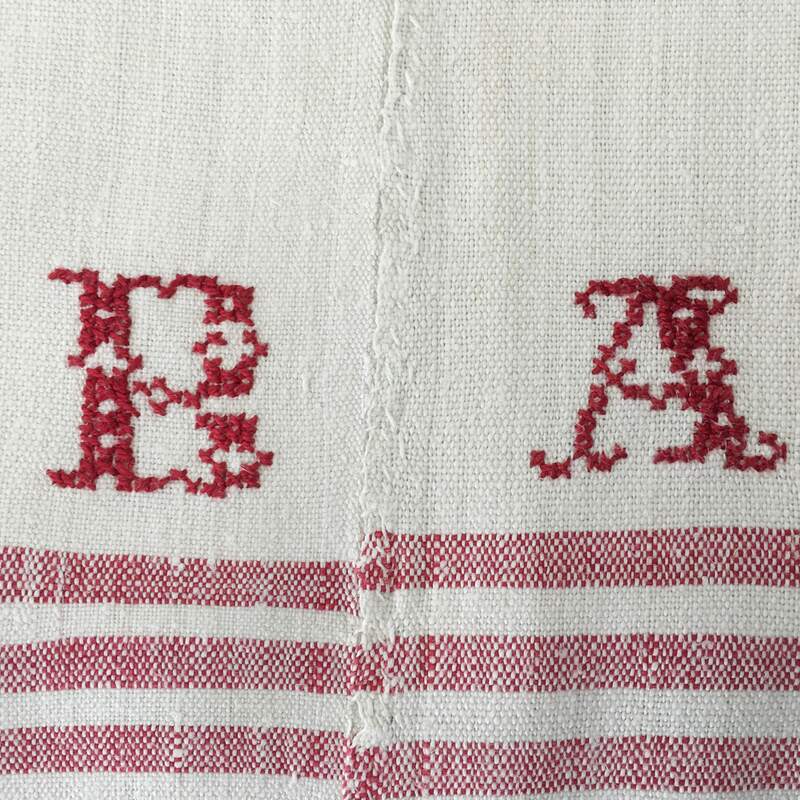 There is a 'AB' Monogram in between the hand-stitched centre seam.